We are proud and honored to be featured by Mariko Chan blog. 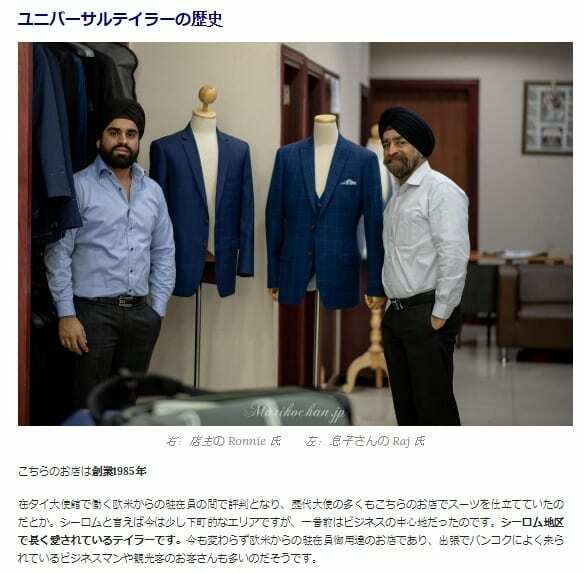 They named us the best tailor in Bangkok and the tailor of choice for Japanese tourist and expats in Bangkok. Japanese are known to be the one of the most well educated in fashion particularly men suits. Their knowledge in fabrics is far superior to fellow European or American in general. They are acquainted with fabric quality and mills thoroughly like yarns, threat count, weight, density etc. They are of course not be as fashion savvy like the Italians because they generally stick with the classics. 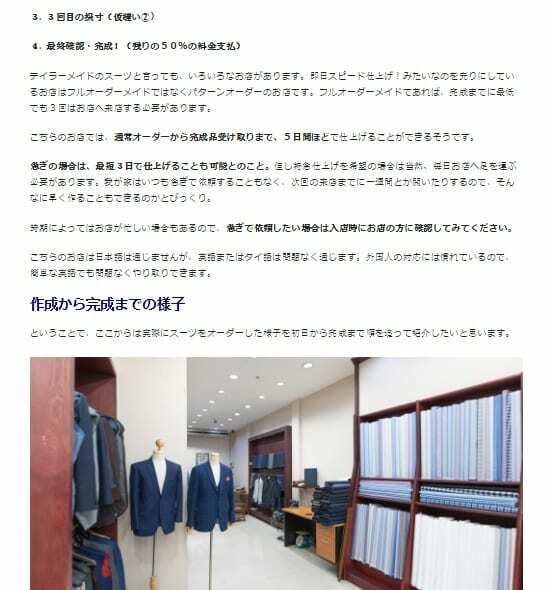 Japanese prefer classic color like navy and pattern like pinstripe. 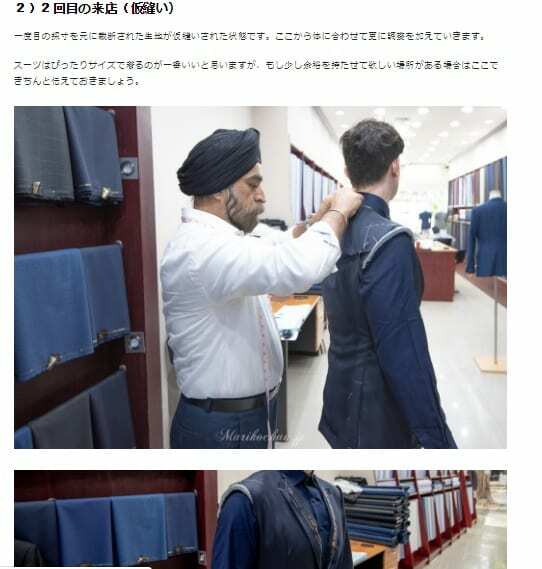 But they are not the one who would compromise on quality of the fabric; most often or not a Japanese client entering our store would go for Italian mill fabric like Vitale Barberis Canonico. The number of Japanese expats in Thailand has multiply over the years so has the Japanese restaurant. Mariko Chan is the number #1 Japanese blogger or influencer in Thailand. 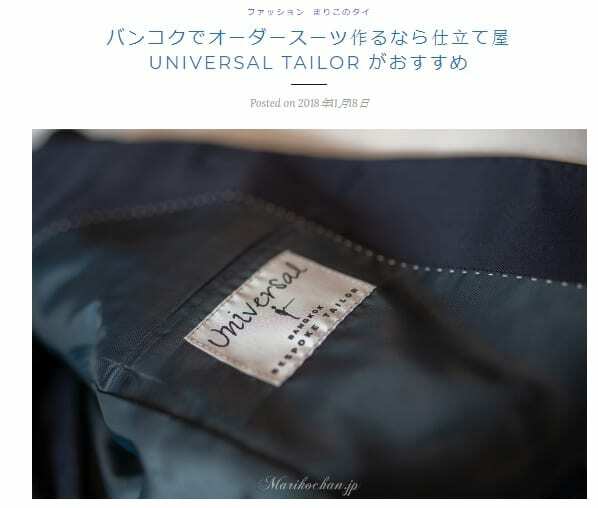 She convinced her husband to make a hopsack suit 2 years back and was bowled over the quality of our bespoke suit that she decided to write about us. 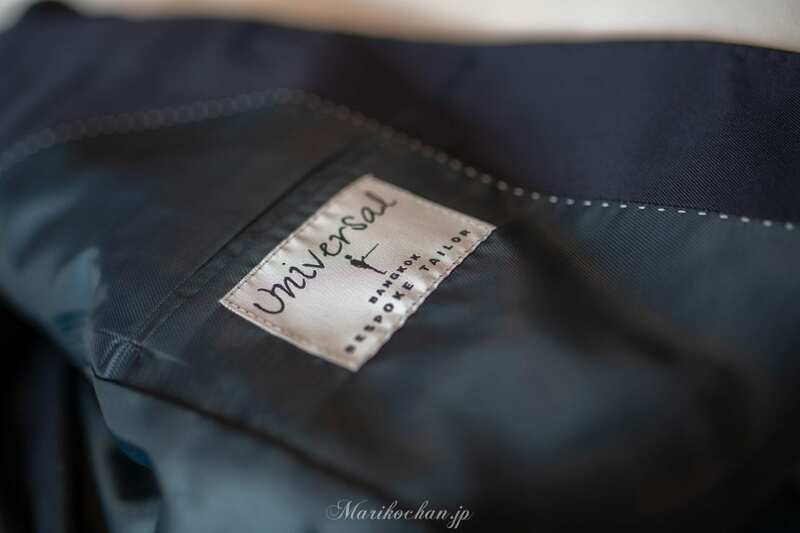 Two weeks back, when her husband needed a new navy suit, the name that pop into their head was “Universal Tailors”. 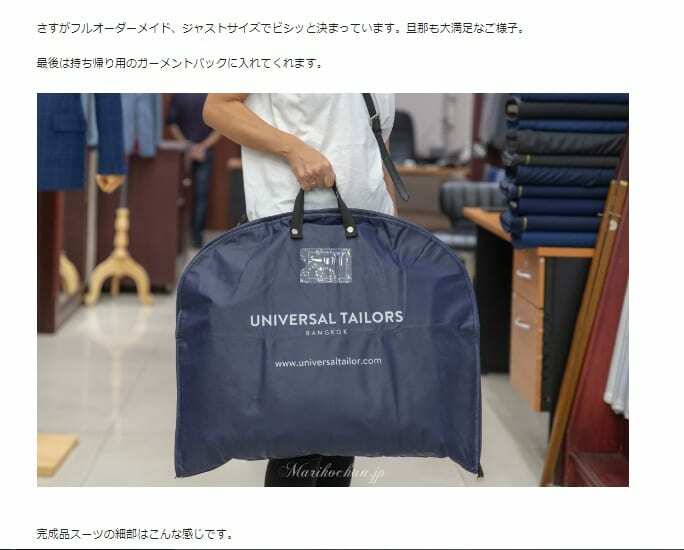 She touch upon how Universal Tailor is different than the rest. How the entire process works from measurement, consultation to mandatory 3 fittings. Interesting she shared her husband experience where he was complimented by strangers on how well his suit & shirt fits.